We have everything that you can put a logo on. 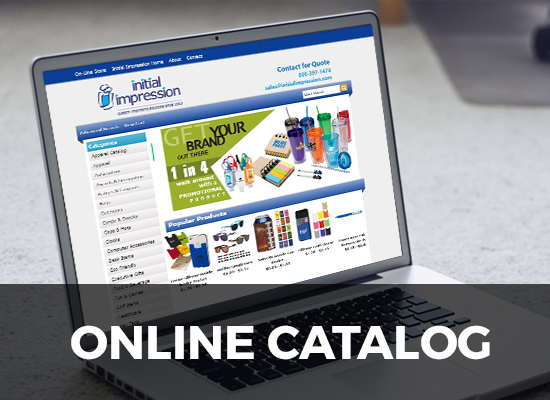 Our online catalog allows you to view information on over a million products. Let our site be your one-stop shopping source for any promotional product. Quickly and easily search our vast database, then let us know your ideas so together we can find what fits not only with the branded image of your company or the theme of your promotional event or trade show, but also with your budget to create the highest value for you. To request more information give us a call on our toll-free number 800-397-1474, or email sales@initialimpression.com.